Nicholas A. Pascale is a litigation partner whose practice includes all forms of business and commercial litigation, insurance defense, municipal defense, personal injury, and §1983 civil rights litigation in state and federal courts. A former Town Justice for the Town of Marlboro, Nick presided over matters involving not only civil lawsuits and small claims actions, but also criminal proceedings and vehicle/traffic cases. He describes this service to his community as an important experience that informed many aspects of how he handles his own litigation today. For example, with an insurance defense practice that has a concentration in defending municipalities, working in local government as a Town Justice gave him a better understanding of his municipal clients in actions involving everything from personal injury and civil rights suits to property damage claims. 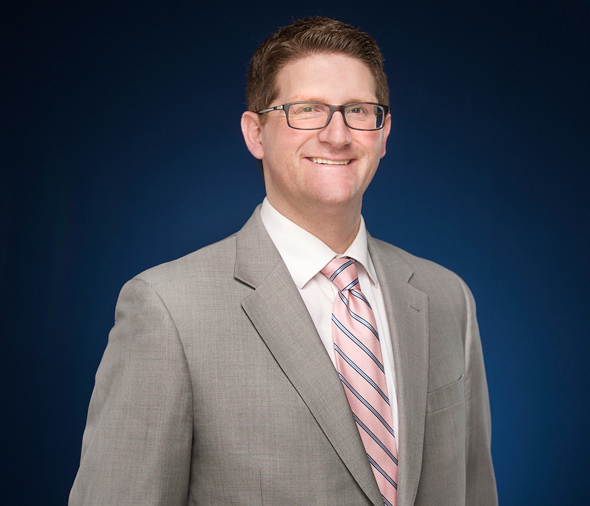 Nick's business and commercial litigation practice involves handing business and real estate disputes for individuals and small to mid-size businesses. Whether, however, Nick's client is an insurance carrier, a municipality, an owner of a business, or an individual that has been hurt in an accident, the approach is the same. He strives to be accessible, give full and complete explanations at each stage of a case, and, most importantly, to return calls and emails promptly. Nick's goal is to work closely with clients to help shepherd them through what are often difficult and trying matters. Brun v. Farningham, 149 AD3d 686 (2d Dept., 2017) – Successfully defended a local Town police officer involved in a motor vehicle accident, and successfully argued before the Appellate Division, Second Department for an order affirming the trial court’s dismissal of the plaintiff’s complaint. Mehrhof v. Monroe Woodbury Central School District, 2019 WL 138508 (2d Dept., 2019) – Successfully defended a local School District and Board of Education in breach of contract and economic tort claims asserted by a former School Superintendent, and successfully argued before the Appellate Division, Second Department for an order affirming the trial court’s dismissal of the plaintiff’s complaint. Campbell v. Tamsen, 37 A.D.3d 636, 830 N.Y.S.2d 338 (2d Dept., 2007). Obtained reversal in the Appellate Division of trial court’s denial of summary judgment on behalf of defendant attorneys in a legal malpractice case. Ross v. Sherman, 57 A.D.3d 758, 870 N.Y.S.2d 383 (2d Dept., 2008). Obtained summary judgment and represented respondents in an appeal to the Appellate Division resulting in an order affirming the trial court’s order granting summary judgment in a commercial dispute over real property. Smith v. Newburgh Enlarged City School District (Sup. Ct., Orange County, 2011). Obtained defense verdict from jury in personal injury action against School District. Alongi v. Town of Bethel (Sup. Ct., Sullivan County, 2013). Successfully obtained summary judgment in personal injury action against Town. DeGaetano v. Village of Warwick (Sup. Ct., Orange County, 2013). Successfully obtained summary judgment in personal injury action against Village. Matarese v. Town of Walton (Sup. Ct., Delaware County, 2013). Successfully obtained dismissal of complaint against Town in case involving claimed negligence in the issuance of building permits. In re Cnty. of Sullivan (Dunne v. Bethel), 111 A.D.3d 1232, 976 N.Y.S.2d 295 (3d Dept., 2013). Successfully obtained summary judgment and then represented respondent municipality in an appeal to the Appellate Division resulting in an order affirming the trial court’s order granting summary judgment in a claim arising from the foreclosure of real property tax liens. Selig v. Town of LaGrange (U.S. Dept. of Housing and Urban Development, 2014). Successfully defended claims of discrimination asserted against defendant Town in proceedings before HUD and the US Department of Justice. Goodfriend v. Vill. of Jeffersonville, 122 A.D.3d 1184, 998 N.Y.S.2d 237 (3d Dept., 2014) leave to appeal denied, 25 N.Y.3d 901, 30 N.E.3d 164 (2015). Successfully obtained summary judgment and then represented respondent municipality in an appeal to the Appellate Division resulting in an order affirming the trial court’s order granting summary judgment in a claim arising from the foreclosure of real property tax liens and successfully opposed appellants motion for leave to appeal to the Court of Appeals. Abramson v. Gettel, 607 F. App'x 101 (2d Cir., 2015). Successfully obtained dismissal of lawsuit brought pursuant to 42 U.S.C. 1983 involving an equal protection “class of one” claim in the land use context, and then represented the appellee municipality in an appeal to the Second Circuit Court of Appeals resulting in an order affirming the trial court’s decision and order. Howard v. Town of Bethel (Sup. Ct., Sullivan County, 2015). Successfully obtained summary judgment on behalf of defendant municipality in civil action alleging defamation and malicious prosecution.